Why Don’t We Differentiate Professional Development? 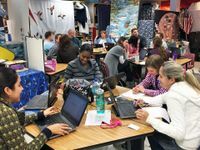 PD could be more effective if we differentiated it by gauging teachers' readiness, utilizing their interests, involving them in the process, and providing continual assessment opportunities. As I prepare for another afternoon of district-provided professional development activities, I always make sure that I bring plenty of work to do (papers to grade, lesson planning, etc.). This isn't because I have a bad attitude and hate professional development (PD). A great PD event can really energize me to improve my classroom instruction. However, the sad fact is that the majority of PDs I attend are repetitive, simplistic, or downright boring. I bring other work to do so that I don't get irritated when I feel that my time is being so carelessly wasted. I am not alone. According to the Center for Public Education's Teaching the Teachers report (PDF), almost all teachers participate in PD throughout the year. However, a majority of those teachers find the PD in which they participate ineffective. Thinking about this in the car on the way home after another wasted opportunity made me angry. Why is so much of the teacher professional development that I attend such a waste of time? Because, as Teaching the Teachers reports, a majority of PD is provided in a workshop model. And workshop models are inherently ineffective. It amounts to giving everyone the same information, regardless of their prior knowledge, skills, experience, and leaving it up to them to determine how (or if) it is implemented. For us teachers, think of this in terms of teaching a lesson. I'm going to teach you how to add fractions, regardless of how much you know or don't know about the concept. For those who don't even know what a fraction is, you'll be so confused that the whole lesson will pass you by. For those who already know how to multiply and divide fractions, you'll spend the whole lesson bored to tears. Either way, I'm most likely never going to ask you about fractions again. We wouldn't teach our students this way. And if we don’t expect our students to come to class at the same level and learn in the exact same way, why do we expect it from teachers? Take a survey of your teachers to see what they know about a professional development topic, and how skilled they consider themselves in that area. While you probably already have a sense of this from knowing the teachers in your building and being in their classrooms, like any good principal or administrator, getting their reflective feedback is important as well. This information will also allow you to tailor the PD session to meet teacher needs, designing smaller group sessions with flexible groupings to instruct teachers at their varying readiness levels. For example, maybe you want teachers to implement a new executive-functioning curriculum. Novice teachers can attend a curriculum overview session to learn about what it is and what it will entail for them. Instead of providing this overview for all staff and boring those teachers who might already have experience with such a curriculum, more experienced teachers can get together to problem solve difficulties they might be having, or compare and share strategies they've used. This way, teachers of all readiness levels are engaged. Obviously, district PD mandates come from a central office, but take some time to figure out what your teachers themselves want to improve upon. When you work on areas of their interest, they're more likely to be engaged, making the work more productive -- just like with students. In the classroom, we often have stronger students help their struggling peers. Allow teachers that have skills or experience to run smaller group sessions. It provides leadership opportunities for teachers and develops a sense of ownership over the school improvement process. Also, sometimes teachers are more open to listening to someone in a similar position to themselves than they are in taking directives from an administrator. 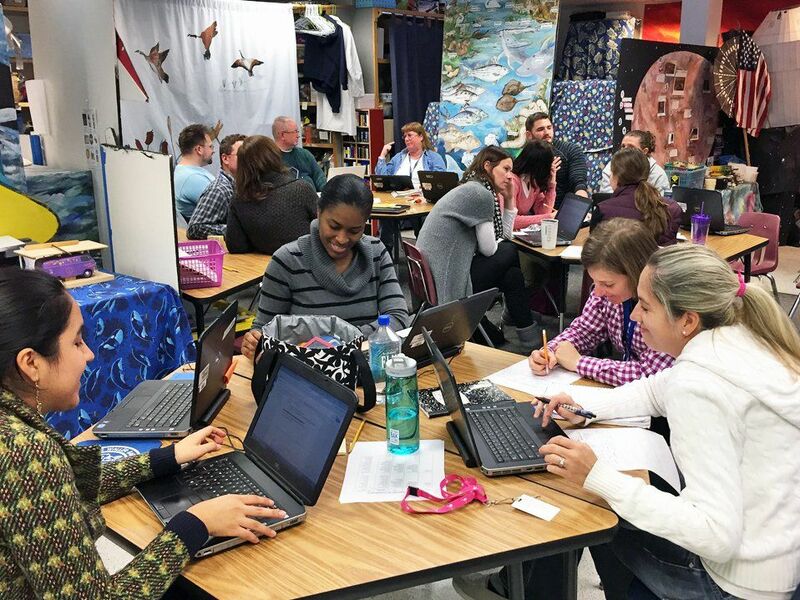 In the example from above, teachers who have already worked with such a curriculum could run smaller breakout sessions with their grade-level or content-area peers. Here, they could provide examples of how they have implemented such a curriculum into their instruction. 4. Provide opportunities for continual assessment. One of my pet peeves of PD is that often, after it's given once or twice, there's never a follow-up, so many teachers never bother to implement these practices. Provide time for teachers to discuss and reflect on how they are incorporating the given area of development into their classroom practice. Have opportunities for feedback, allow teachers to set goals, provide continuous support, and assess progress toward the goals they've set. Only when you make follow through and action a priority will you see real results. Isn't it about time that we practice what we preach? If professional development is about educators' growth and improving our schools, then why can't we improve the process itself?